Members earn points when they shop in-store and online at Woolworths supermarkets, BWS, BIG W, participating Caltex and Caltex Woolworths^ co-branded fuel outlets*. Once their points balance reaches 2000, they automatically get $10 off at Woolworths Supermarkets, BWS or BIG W on a future eligible shop of their choice. Members can also choose to bank their savings for Christmas or convert their savings to Qantas Points. Members can earn points on fuel and in-store at participating Caltex and Caltex Woolworths co-branded fuel outlets. Members receive a 4c per litre fuel discount at participating Caltex and Caltex Woolworths co-branded fuel outlets when they spend $30 or more at Woolworths supermarkets (excluding purchases of gift cards, lottery and smoking products). 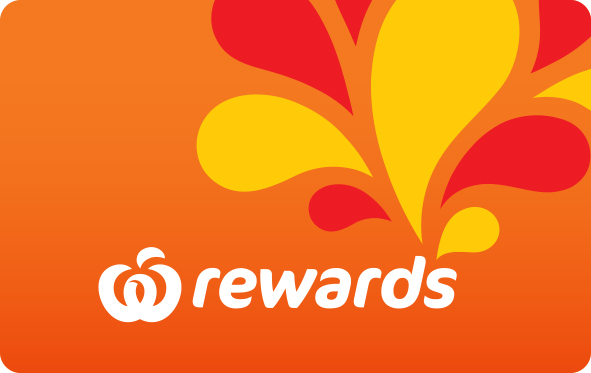 Members can store the fuel discount on their Woolworths Rewards card.